Philips Sonicare's best whitening diamond shaped brush heads, are designed to effectively remove plaque and leave teeth cleaner and noticeably whiter than manual brushing. Charging is simple. 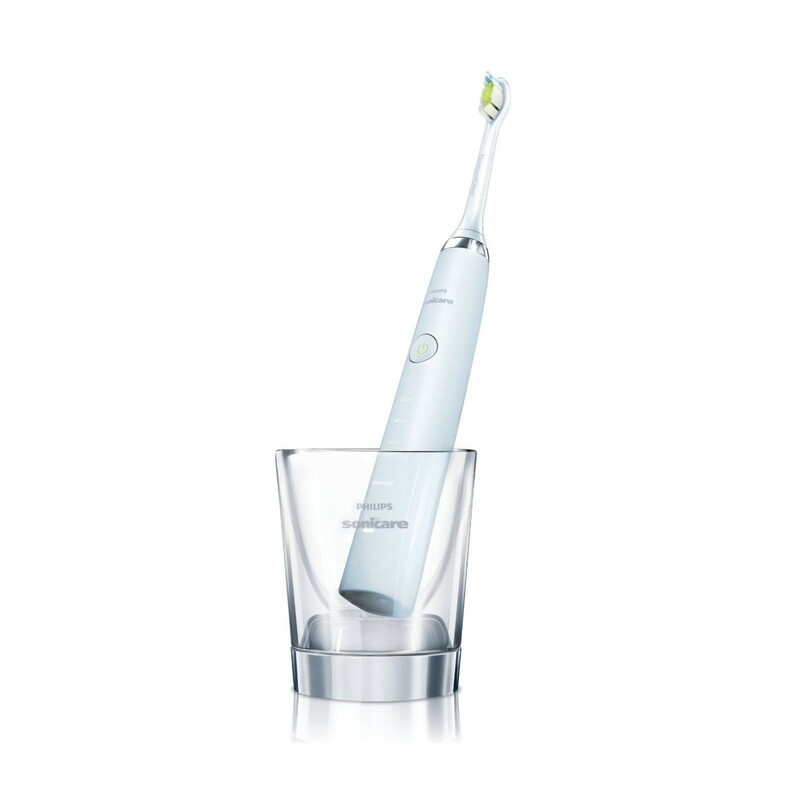 Just place the toothbrush in the DiamondClean glass charging cup. This may also be used for rinsing your mouth after brushing. Connecting the practical travel case to your laptop via the USB socket will also charge the brush making it ideal for dental hygiene on the move. 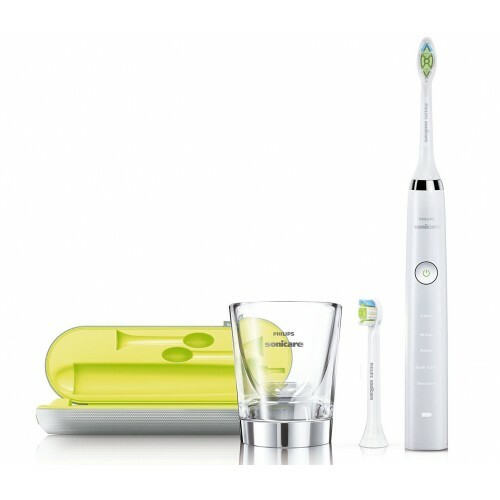 Features a 30 second interval timer that will let you know when you have completed brushing each section of your mouth. Why should you buy this sonic toothbrush? You can achieve a professional, but gentle clean, with visibly whiter results using the Philips Sonicare DiamondClean Rechargeable Toothbrush on a daily basis.